Aside from routine plumbing maintenance, want to know an easy way to prevent expensive water damages caused by sudden water leaks that spring from your washing machine, hot water heaters, or burst water pipes? Call for expert control valve, automatic shut off valves, and other plumbing valves to be installed in your home to reduce the risk of flooding. Automatic shut off valves have sensors that detect water leaks and automatically shut off the water line, saving you potentially hundreds of dollars in expensive water damage restoration services. Control valves help control the water pressure, temperature and other flow concerns of your plumbing water supply. Our control valve experts are experienced at installing and repairing a variety of water valves. Call today to learn more! With the wide variety of expertise our plumbers have, can ensure that the basement flooding and plumbing problems of our customers are fixed right. 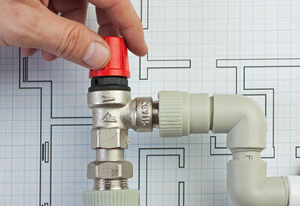 You can count us, your reliable plumber, for all your plumbing and valve needs. Call us today to learn more or to schedule an appointment for service.